It's been three weeks since our last product update so get ready for a pile of new! We've been busy releasing as much as humanly possible. To start with, let's talk Heads Up Displays, or, "Who ever said bury the lead was a fool!" The transparent OLED display from Wisechip is the first in its class of multi-color super clear and extremely readable displays. Designed for heads-up vehicle applications this HUD can also be a phenomenally clear display in outdoor settings. The only downside we could find is the sheer number of segments on this display means the library can't be slimmed down small enough to get it onto an Uno. We've got a breakout board that is Qwiic compatible and includes a 12V boost to get the display working. Using our Arduino library you'll be up and running in no time. A relay with an I2C address! What's going on here? We've wrapped the control of a relay around the Qwiic connector making it possible to control large, even AC, loads using a few I2C commands. 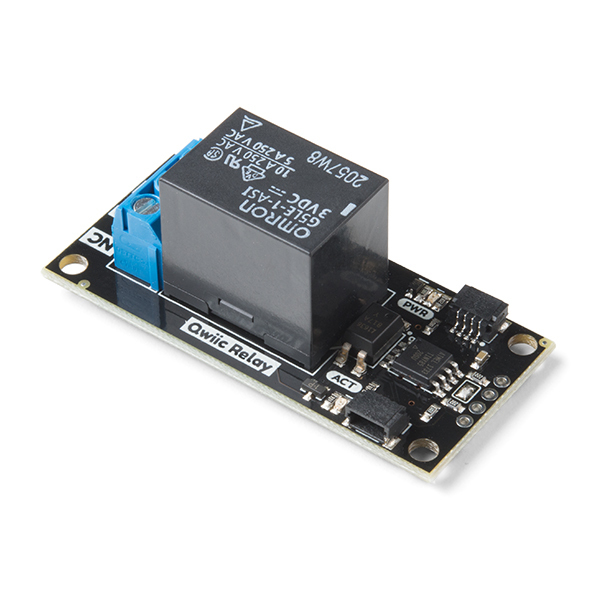 The Qwiic Relay sports a low voltage 3V relay and an ATtiny to read incoming I2C traffic and respond when queried. A super handy device. What makes us most proud is the fact that we're already selling version 2 of the product. Version one was listed with a handful of problems including not enough ground isolation and no room for the mounting screws. 16 days later we fixed everything and had product for sale. That's not bad in the world of hardware where bits are easy and atoms can cause fun blue sparks. In case you missed it we were able to reverse engineer the VL53L1X from ST. This incredible sensor is the latest in Time of Flight (ToF) releases. The VL51LX is the first low cost, high resolution sensor we've seen in the 4m+ category. We expect this market segment to heat up as more manufacturers (come on Osram!) release their solid-state LiDARs and the likes. The downside to this sensor is the fact that ST is one of the few companies that has chosen not to release a full datasheet for their products, instead offering a driver for their STM32 line of processors. What we received from ST support: "ST does not supply any register details (or much) on the VL53 devices. They do not have the support to walk the customer through the image pipe processing and that is why they support the GUI only. I have tried before to get the info and probably could if I was the guy working with Apple." Thankfully, we are not Apple. So instead we sniffed the I2C traffic on one of their dev platforms in order to figure out the necessary bytes to get the sensor working. There are still smaller features to be sussed out but the long range 4m sensing is working like a charm! Keypads are one of those things that come in really handy on a large number of projects. The Qwiic Keypad takes care of all the fiddly bits and gives you a FIFO event stack. Send a byte to the Qwiic Keypad over I2C and you'll know which button was pressed and when. Easy to use and because Qwiic doesn't require soldering the purchase of a Qwiic device is like purchasing building blocks: you'll be able to quickly swap in pieces and parts to different projects saving money in the long run. Folks have been asking for years, now the incredibly popular OpenLog project now has an I2C cousin! The Qwiic OpenLog takes whatever you send it over I2C and records it to a text file. 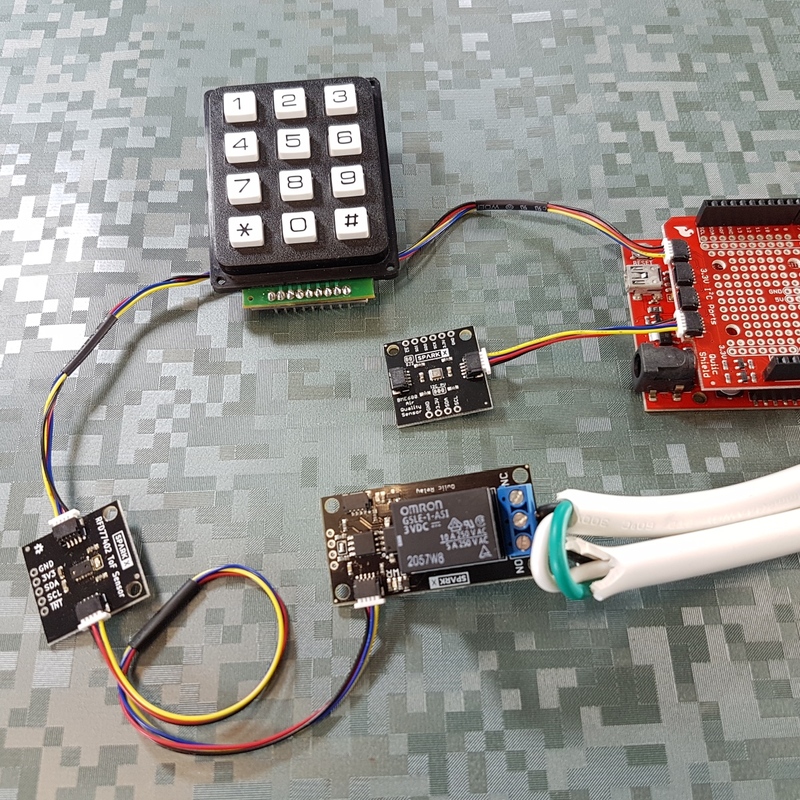 No messing about with SD libraries or chip select pins, just plug in OpenLog and start throwing I2C data at it and your GPS position, or free fall alarm, or the kilometer count on your gerbil's exercise wheel will be recorded to a microSD card. The Qwiic Proximity Sensor with the VCNL4040 is one of dozens of low cost ~20cm proximity sensors. We took the best in class and threw it on a Qwiic breakout so you don't have to solder and can daisy-chain all sorts of other devices on the bus (see the Qwiic Relay above!). We've got an excellent Arduino library to make using the sensor super easy. This sensor gives you qualitative distance. What does that mean? It gives you a reading that increases from 0 to 65535 as you get closer to the sensor across 20cm. You can easily tell if something is closer or further away but it's difficult to say if something is 7.5cm from the sensor (see the VL53L1X sensor for mm precision). Perfect for human presence sensing such as turning on/off a screen, auto-dispensing, or triggering anoy-a-tron type MP3 tracks. 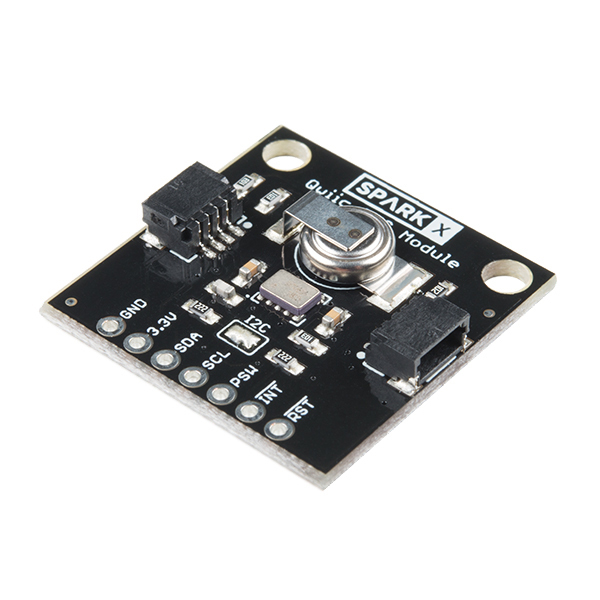 The MS5637 is one of those low-cost awesome sensors that does one thing really well - barometric pressure. Sometimes you need humidity/temperature/VOC/pressure in one package, that's ok, get the BME680. Need to focus on altimetry? Get the Qwiic Barometric Pressure sensor. It's the most sensitive sensor we've seen to date with high accuracy readings capable of detecting a change in just 13cm of air! On the bench we've found the sensors to be incredibly well calibrated with impressive repeatability between sensors. TE, the manufacturer of the IC, has released a great Arduino library to boot! 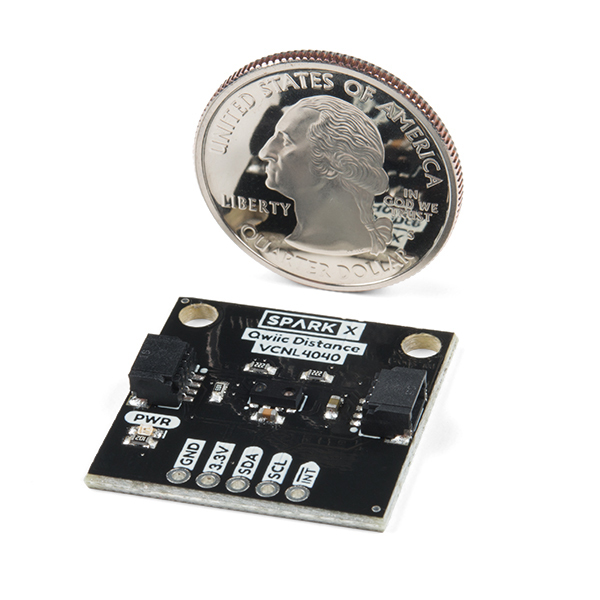 Get measuring pressure quickly with this MEMS pressure sensor. The Qwiic RTC incorporates the RV-1805 real time clock, a rechargeable super cap, and all the necessary firmware to make time stamps easy to use. It's time to move into 2018 with RTCs. The RV-1805 incorporates not one but two internal oscillators, automatically switching between them to achieve an average current consumption of just 22nA! I think I generate more power rubbing my fingers together. Use with the Qwiic OpenLog to record the date and time that an event occurred with second accuracy. As always, we've got some incredible new products and projects planned. Please sign up and stay tuned! These I2C devices are really cool! 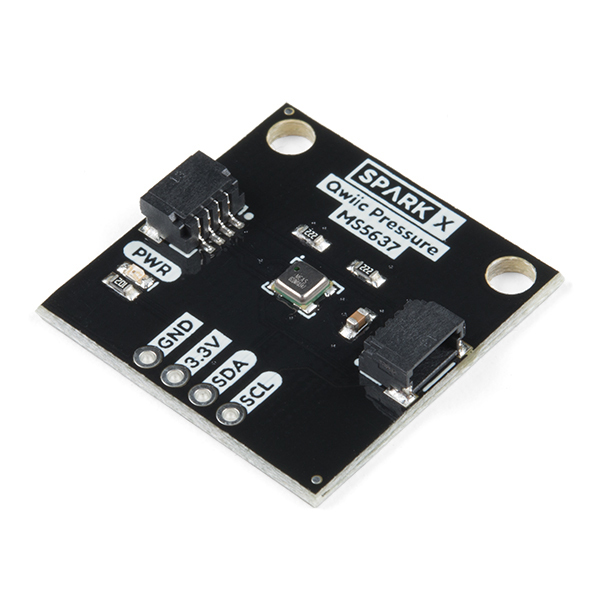 Frequently I run into devices that speak UART serial (like the TFMini lidar), have you guys considered making an I2C to serial interface board? This is one of those product ideas where you hit your head and say 'dah! Why didn't we think of that!'. A great idea. I need to go see what the state of the art is for serial to I2C. I imagine there are ICs out there I just haven't looked. Great idea! Thank you. I'll see what we can come up with.